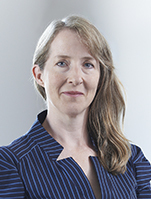 Virginia Murray is a partner in the firm's Project & Structured Finance Group and head of the Greek law corporate, projects and finance practice of the Athens office. She joined WFW in 2007 after ten years at a major Greek commercial law firm and specialises in acquisitions and financing in the infrastructure and energy sector, as well as real estate, corporate M&A, insurance and finance deals in Greece for Greek and foreign investors and banks. She is described in the two largest global legal reviews as "extremely capable when it comes to drafting complex structures" and "widely admired for her transactional expertise�, especially on cross-border mandates". Virginia graduated in Law from Cambridge University in 1989 and practiced as a barrister in London for five years before moving to Athens and qualifying as a Greek lawyer in 1998.